The Average Fortune 200 CHRO is 54 Years Old. As promised here is the people analytics-focused responsibilities for the CHRO role. Instead, it provides a summary of the essential skills every CHRO must have to survive in business today and in the future. . The CHRO’s Role in Ensuring People Analytics Success. The ultimate career goal for many HR professionals is to land the chief human resources officer (CHRO) title. The value of the CHRO has steadily increased in recent years, often heralded one of the most important or influential jobs in the company. Do you see yourself becoming a respected and successful CHRO one day? A strategic, data-driven CHRO will turn this approach upside down: starting with an accurate, Big Data insight into operations and people, and making the budget planning process far more accurate. The answer lies in the relationship between your CHRO and your CFO. By looking at what are perceived to be “human resources initiatives” in financial terms, the CHRO and the CFO can invest in the enterprise together. Labor is probably your number one CONTROLLABLE cost. As a former CHRO (Chief Human Resources Officer), I’m familiar with the role. We need a new definition of the CHRO. Take this information forward and you can see a newer, bigger definition of the CHRO. CHRO is a business role. Today’s CHRO is faced with a crushing set of opportunities to screw up. Here are a dozen ways to do the CHRO job badly enough to get replaced: Use ROI as the exclusive hurdle for new projects. The post 12 Ways to Get Fired as CHRO appeared first on HRExecutive.com. The digital transformation has had a massive impact on the role of nearly every employee, and even the CHRO is not immune. A CHRO at the top of his or her game is a close confidante of the CEO and therefore has to think about many of the same things that a CEO does. The Workforce Is Now Global—Is Your CHRO? Today's CHRO must not only to be competent at analyzing data, but also a master at knowing what to do with it. The position of a CHRO or Chief Human Resource Officer is gravely fundamental in every business. That’s why every HR member planning to become a CHRO must first accept the responsibility of being the reason for a success or failure. However, there are crucial steps on how to become a CHRO. Gone are days when CHRO positions are determined by how much experience one has as an HR. So, how can one make it to CHRO? Good luck in your CHRO career! 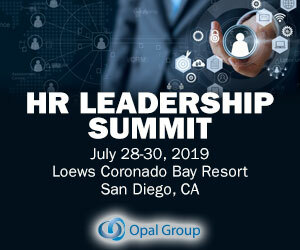 Career Management Featured C-Suite CHRO HR Human Resource executive LeadershipThere is a key difference between the organizations who are the best and those who aspire to be the best. The top-performing organizations have set an example for us by recruiting a new breed of a C-level employee. SAFEbuilt Recruits New CHRO Gatti & Associates Assists SAFEbuilt in Recruiting Key Member of Their Leadership Team. Simone was most recently Interim CHRO at October Hill International. The post SAFEbuilt Recruits New CHRO appeared first on Gatti HR. Gatti & Associates is pleased to announce Simone Reynolds has joined SAFEbuilt as Chief Human Resources Officer. But Ian Ziskin, a high profile CHRO, has written a book and he very kindly sent me a copy. Ian was the CHRO of 3 Fortune 100 corporations – Northrop Grumman, Qwest Communications and TRW – so he knows whereof he writes. I don’t usually do book reviews on Data Point Tuesday. I’m the queen of helping vendors put on better conferences, but nobody asks me to touch the obligatory CHRO panel. A CHRO panel looks the same at nearly every event. “You could be a CHRO, too. Do you need the MBA from a prestigious school to be the CHRO? CEOs continue to upgrade their CHRO talent with talent management, transformation and top team needs driving much of that change. Our 2017 placements at TSG Executive Search show some clear trends in who’s securing the CHRO role and why. If you’re a Chief Human Resources Office (CHRO) or HR leader wanting to prepare your business to leverage cognitive computing, there is one essential activity you need to undertake now: audit the quality of your organization’s competency frameworks. Categories: Future of Work Article Tags: Artificial Intelligence; CHROUnderstanding employees’ competencies and skills in relation to job requirements has always been important in effective talent management. If your goal is the CHRO chair, how are you preparing yourself to take the helm? Next Generation CHRO Academy. In a similar vein, how a CHRO translates thoughts into words and actions was reinforced through hands-on coaching and role playing. Lincolnshire, IL – October 25, 2018 – Alight Solutions , a leader in technology-enabled health, wealth, and human capital management solutions, today announced that Colon McLean has joined the company as CHRO, reporting to CEO Chris Michalak. I also had the opportunity to share some of my thoughts in this 2-minute video below about the challenges CHRO’s face, how they can add value, and how the role of human resources is evolving. What’s ahead for HR and CHRO’s in 2017? To help you successfully navigate 2018, we put together a CHRO trends report to cover the five most important trends for every CHRO in the coming year — and tips for leaders who are ready to take action. Trend #3: THE CHRO STEPS UP AS CHIEF DATA SCIENTIST . The Korn Ferry Institute recently released a report that looks at the leadership traits of “best-in-class” executives, and the important relationship between Chief Executive Officers and Chief Human Resources Officers. This is part of our CHRO Community Series , which highlights big ideas from CHROs working to push the boundaries of HR and transform their organization for the better. Our first mini series focuses on improving feedback operations within organizations. Implementing a culture of feedback from scratch at a company is no simple task, especially if it hasn't historically been a part of the company's values. That age means your average Fortune 200 CHRO is Half Boomer, half Gen-X. . The CHRO’s tenure in role is 35% less than the CEO counterparts. -- CHRO Succession Planning Needs Improvement : 68% of Chief Human Resources Officers were hired internally, from within the organization. In nearly one out of three situations, the CHRO is hired externally. The post #SHRM18: Q&A with Maestro Health CHRO Sheryl Simmons appeared first on TalentCulture. 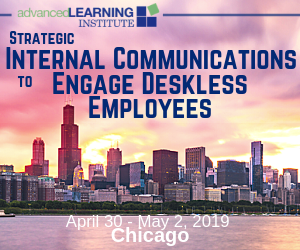 I have a long list of speakers I can’t wait to see at SHRM next week. High on that list […]. Imagine someone who leads a high-impact HR organization in the year 2021: The CHRO—or perhaps her title is Chief Employee Experience Officer or Chief People Officer—connects to an earnings call to help the CEO explain how new people programs drove the latest uptick in profitability. Skills Required of the Future CHRO. So, if we have a vision of how the CHRO of the future operates, what should be done today to create this hypothetical future? Recruits CHRO appeared first on Gatti HR. National Health Care Associates, Inc. Recruits: Chief Human Resources Officer. GattiHR Assists National Health Care Associates, Inc. in Recruiting Key Member. of Their Leadership Team. GattiHR is pleased to announce Michelle L. Ronquillo has joined National Health Care Associates, Inc. as Chief Human Resources Officer. Jim Reid CHRO, Rogers Communications. There is no better assignment for a CHRO than the one I’m in today in Canada.”. When you’re the CHRO, it’s kind of like being in a batter’s cage. Jim Reid CHRO, Rogers Communications. Such is the mission of the Chief Human Resources Officer (CHRO) Exchange. People are the key component to organizational transformation Terri Hoskins is the CHRO for TBC Corporation. The next CHRO Exchange is scheduled for May 19-21, 2019 in Austin, TX. 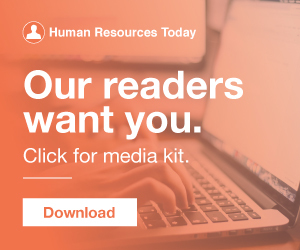 The chief human resources officer (CHRO) is one of the most important employees in any company, but rarely receives the attention that the CEO, COO, or CFO receives. However, the CHRO is in charge of the people, the heart of the business.